How a customer insight-led marketing strategy fuelled one of Burger King’s strongest financial years yet. A marketing campaign for Burger King has won a place on the prestigious WARC 100 list which measures and awards the 100 most effective advertisements in the world each year. The campaign was fuelled by intelligence and customer insights uncovered by Perceptive which informed the marketing strategy, messaging and creative by Colenso BDDO to help grow the Burger King brand in the New Zealand market. The insights led marketing campaign was judged the 19th most effective campaign in the world for 2018. The WARC 100 is regarded as the global index of effectiveness in advertising, and tracks the performance of campaigns, brands and agencies in more than 80 marketing effectiveness competitions around the world. Perceptive uncovered a whole new target market, and showed a clear pathway for Burger King to advertise beyond their core market, and grow share across the wider available audience. The research also highlighted the misconception that Kiwis did not realise Burger King actually cooked its burgers over flames. 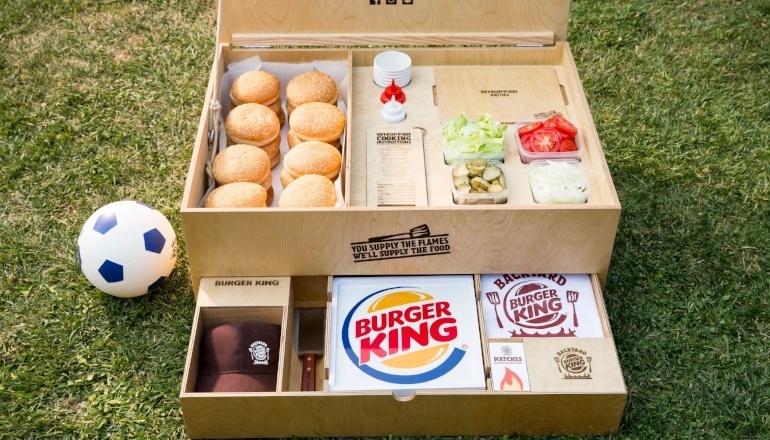 Armed with this insight, and the knowledge that New Zealander’s loved barbeques, Colenso BDDO launched the ‘Backyard Burger King’, which set out to speak to a much broader audience, and emphasise Burger King’s unique flame-grilled flavour, fresh ingredients and great taste. Backyard Burger King from Colenso BBDO on Vimeo. The campaign was promoted through TV, digital, in-store and on social media and directed people to a website where they could apply for a kit to be delivered to their own backyard. The campaign changed public perceptions and saw Burger King achieve its best sales record in New Zealand in 22 years. Burger King was also rated the WARC 100 number one top brand for 2018.